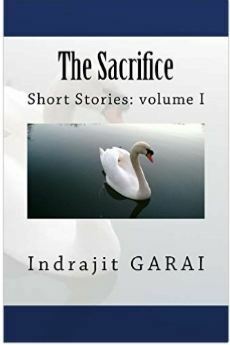 This is a collection of three short stories and it only takes a few hours to read the book. The Move: There was a lot of sadness in this short story, a father trying to save the farm his family had owned for years, and doing whatever it takes to try and make that happen. He also wants to protect his son from any hardships. Very emotional. The Listener: A story about Matthew, a boy who didn’t have the greatest home life, but did find solace in a forest, especially from one tree. Then men start showing up, marking some of the trees, and those trees start being cut down. Matthew does not want to loose his tree so he sets out to make sure it stays safe. The Sacrifice: This story was about a boy who’s mother is in a drug rehab so he goes to live with his grandfather. Each look out for the other and do what they can to make sure the other is ok. The grandfather is a writer who hasn’t had good luck with his last 3 books, but since Artur, his grandson has come to live with him his writing has produced a book that could be a best seller. I really enjoyed this book, all three stories left a big impression on me. Although the last story is called The Sacrifice, they all could be named that because all three have characters that make sacrifices. This book was an emotional read and the stories will stay with me for a while. The characters were “real”, some were good people and some were bad. And together they made really good stories. Would recommend this book for anyone who likes something different and/or short stories. I haven’t read short stories in a while. What an interesting set of stories. I thought the stories were interesting, quite different than what I usually read. Vicki, these stories sound touching and memorable. I enjoy short stories. They are touching and memorable. I enjoyed them all.